Since 2000 Germany has spent $220 billion on ‘clean’ energy subsidies. Its carbon emissions have not declined, but consumers’ electric costs have doubled (it could have been far worse). The investment groups and others who know how to game the subsidies are the winners. Now, Germany is reconsidering ‘renewable’ energy. The German experience parallels the United States’ where wind and solar turn out to be feel-good mirages because they’re costly, ineffective boondoggles. As in Germany, wind and solar investors and those who game the system reap the benefits. Average consumers—and taxpayers—bear the visible costs of higher electric bills and the hidden costs of huge subsidies. If we want to spend public money on cleaner energy, let’s subsidize cleaning up the only proven energy source we have in abundance—fossil fuels. Energy policies that do this will have a positive effect on wildlife and habitat. BETZIGAU, Germany — Katharina Zinnecker’s farm in the foothills of the German Alps has been in the family since 1699. But to squeeze a living from it today, she and her husband need to do more than sell the milk from their herd of cows. 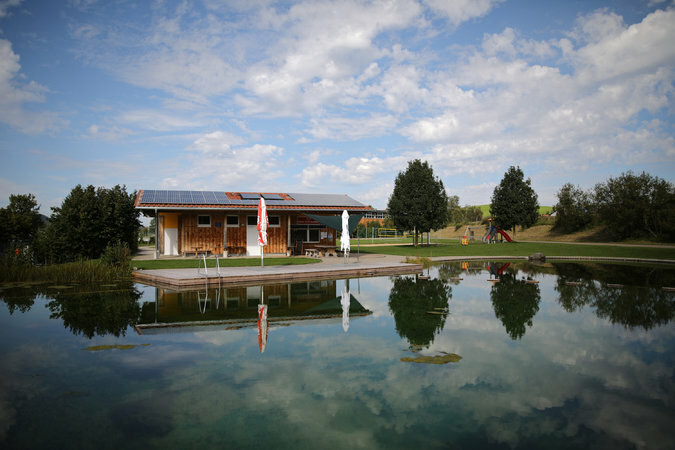 The farm has been a beneficiary of “Energiewende,” the German word for energy transition. Over the past two decades, Germany has focused its political will and treasure on a world-leading effort to wean its powerful economy off the traditional energy sources blamed for climate change. Germany has spent an estimated 189 billion euros, or about $222 billion, since 2000 on renewable energy subsidies. But emissions have been stuck at roughly 2009 levels, and rose last year, as coal-fired plants fill a void left by Germany’s decision to abandon nuclear power. That has raised questions — and anger — over a program meant to make the country’s power sector greener. A picture caption on Saturday with an article about challenges facing Germany’s clean energy industry misspelled the surname of a farmer in Betzigau, Germany, who, with his wife, has installed solar panels on his property. He is Norbert Bechteler, not Bechtelier.